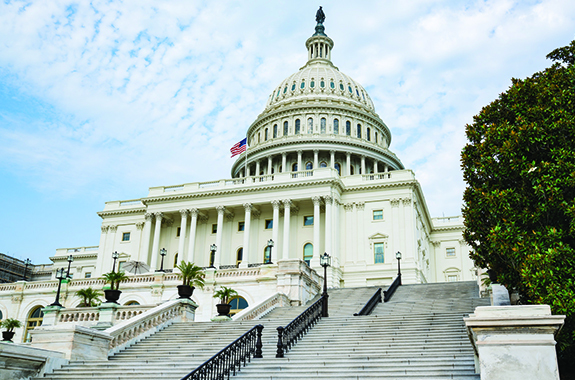 Welcome to NACWA’s Congressional Toolbox! Here you’ll find everything you need to locate, contact and set up a meeting with your U.S. Congressperson or Senator; you’ll also find the resources you need to plan and conduct a compelling facility tour with that lawmaker. In short, The Congressional Toolbox will help you personally advocate with lawmakers on the issues that will impact your utility both now and the years to come. For nearly 50 years, the National Association of Clean Water Agencies (NACWA) has been the leading advocacy voice on municipal clean water issues. A primary reason for this is the continued willingness of NACWA members to meet with Members of Congress and their staffs, providing direct input to legislative decisions that will impact clean water utilities and their communities. While NACWA staff work hard on Capitol Hill to inform the legislative process, meetings by NACWA members play a critical role in advancing the Association’s overall advocacy agenda. These meetings between a utility and the elected representatives serving the utility’s ratepayers are among the most important advocacy actions that a clean water agency can take. This guide outlines the steps for a successful interaction with Members of Congress and their staff, providing a simple primer for meeting and building relationships with key decision-makers. The guide is designed to be an introductory resource for you to begin your advocacy work, whether that involves congressional meetings in Washington, DC or back home in local district offices. This guide is not exhaustive so please look to the NACWA Government Affairs team as a resource. Get Involved! It’s a Privilege and a Right of Citizenship! From the beginning, citizenship in America was designed for people to help govern themselves. The key to a successful Congressional meeting is thorough preparation and strong understanding of the facts. Therefore, you should start preparing for your meeting several weeks before the meeting is set to take place. Similar to most long-term projects, advocacy work is more like a marathon than a sprint. Thus, achieving advocacy goals requires persistence and follow through. The best way to maintain these relationships is to continue interacting with your member of Congress by following up and checking-in. Questions? Contact our Legislative Team Today! Take your advocacy initiative to the next level by inviting elected officials to your plant to see the important role your facility plays in the community. A well organized tour can make the difference in creating a lasting impression on your guests. By creating an active tour experience, elected officials will gain first-hand experience with the everyday aspects of your facility. By conducting a facility tour, you are establishing a cooperative relationship with a legislator and her/his staff. It is crucial to continue checking in to ensure they remember your utility. While NACWA staff work hard on Capitol Hill to inform the legislative process, individual meetings by NACWA members play a critical role in advancing the Association’s overall advocacy agenda. These meetings between a utility and the elected representatives serving the utility’s ratepayers are among the most important advocacy actions that a clean water agency can take. Have you met with Members of Congress on clean water issues? We encourage you to let us know!